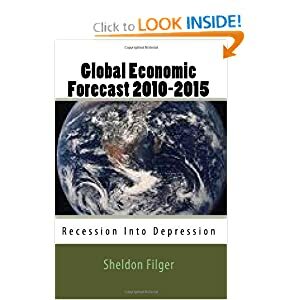 Global Economic Crisis » Greece In Economic Crisis: Is Athens Crumbling? Home > global economic crisis	> Greece In Economic Crisis: Is Athens Crumbling? No matter how the EU and IMF policymakers try to spin truth, the reality is that Greece (and not only Greece) is functionally insolvent. The spread on Greek debt is a clear sign as any can be that markets have thumbed their noses at Greek sovereign debt. The European/IMF bailout, at the price of severe austerity by Athens, is life support for what is already a fiscal corpse. Now that Standard & Poor’s has cut its ratings on four of the largest Greek banks to CCC, the politicians in Athens and throughout the Eurozone are even more desperate. How bad things are in Athens can be observed by the latest machinations by Greek politicians. George Papandreou, the current Prime Minister of Greece, is supposedly offering to step down as the price to pay for a broad-based coalition government. It is said only a coalition government can adopt the severe austerity measures the IMF is demanding for more of the loans that alone keep Greece afloat. In the meantime, there are riots on the streets of Greek cities, as the population rebels against paying the price for sins it did not commit. I think the smart money is on Greece defaulting on its sovereign debt, either outright or stealthily through restructuring. Of course, Greece will not be the last casualty of the rapidly evolving global sovereign debt crisis. In looking at Greece today, perhaps followed soon by Ireland and Portugal, we are also catching a glimpse of what is in store for the greatest sovereign debtor of them all; the United States of America. Is North Korea Planning A Nuclear Pearl Harbor For America?